Representatives from Jackson Family Wines made their annual visit to London in October for tastings of their impressive 2014 vintages of Cardinale and Vérité. Patrick Schmitt MW met them to discuss the releases. Let’s face it, Londoners are spoilt. Such is the wealth of drinks-related events in the capital, one could spend every daylight hour, and quite a few after the sun has set, attending something. It’s a wonderful position to be in, and the city is lucky to have the international drinks trade passing through its hotels and bars so regularly, willing to show off their wares. Among the visitors, London is particularly fortunate to see the Jackson family regularly, including its chairman and proprietor, Barbara Banke, who is always present for the annual vintage releases of its flagship Californian brands: Cardinale and Vérité. 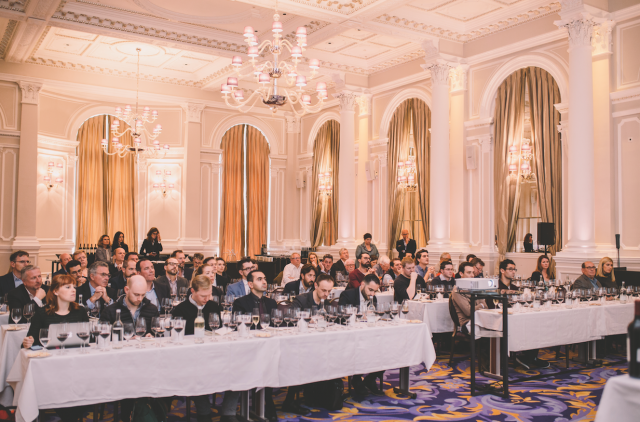 London is blessed because this group’s top wines are first-rate rarities in the UK market, and they are labels that enjoy levels of demand that outstrip their supply, particularly in the US. While competitor fine wine producers might expect the wine trade to make an appointment to try their latest releases at their wineries, the Jackson family brings their brands to European shores and shares them in the informative setting of a masterclass, led by Banke. It’s a great chance to see what the vintage produced at the highest level, and in two expressions from two areas: Sonoma and Napa. Of course, the Jackson family has a good reason to present its top labels in the UK – it wants to ensure that Cardinale and Vérité are seen as truly global fine wine brands, not wine ‘icons’ tied to a single market. Indeed, last year, the group appointed five of Bordeaux’s top négociants to handle the international distribution of Cardinale and Vérité to “enrich” the global distribution of its “jewels”, according to Banke. Presenting these wines in London to buyers and press is part of this aim, and a technique that has been used to raise the international profile of the brands for the past six years. After all, however rare and sought-after a wine may be, it must be tasted before it can be promoted.